We provide top-quality 24/7 Emergency Services for resolving all sorts of lock and key problems occurring in residential and commercial buildings or vehicles. We offer the speediest and most effective solution every time. You will enjoy high level of security once again and complete peace of mind about the safety of your property and of the people around you. Our 24-hour locksmith company is always here for you. No matter when you call, your request for help will be processed instantly and we will be on our way to you in minutes. We will arrive to the address shortly and confirm the problem. You can expect to receive complete solution on the spot. 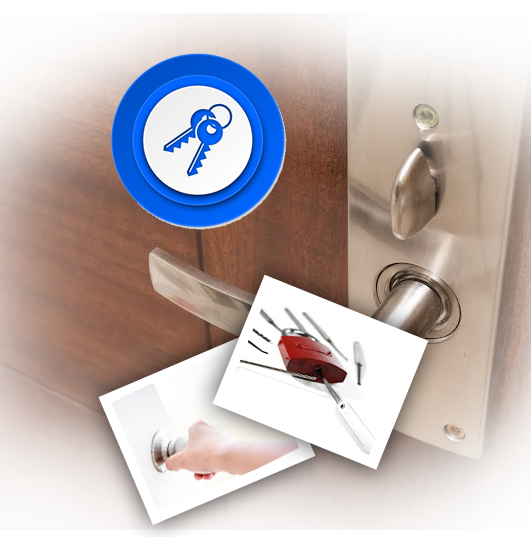 We, at "Locksmith Glendale", will leave your door perfectly functional and secure. We can provide help in all kinds of emergencies. If you have to deal with lost house keys or office lockout, we will provide the speediest and most efficient lock rekey to help you get back inside before a more serious issue has occurred. We offer high-quality services to both residential and commercial customers. It does not matter how big or small the problem is. We have the right people, tools and spare parts to solve it. Our mobile locksmith service enables us to be extremely flexible. We are always on the go and this makes it easy for us to reach you even if you are far away from our shop. We will provide completely professional lock repair at great speed and with complete precision as well. We have the right fix. You simply need to turn to us and we will get things back to normal. In the case of emergency lock change, we can install a more advanced and secure lock to give you higher level of protection straight away. Our auto locksmith services have the same kind of speed and accuracy as our residential and commercial services. We will never leave you waiting for long. We will come fully equipped to do the job. You will get a car key made on the spot so that you can unlock the door comfortably and start the engine. We will do everything necessary to ensure that you will drive off safely and forget about the accident immediately. In addition to resolving auto lockouts, we open trunks and replace car locks as well. Call us straight away to report the problem which you have and we will come to fix it no matter where you are.